The Four Tops are headlining a dinner/cabaret season. 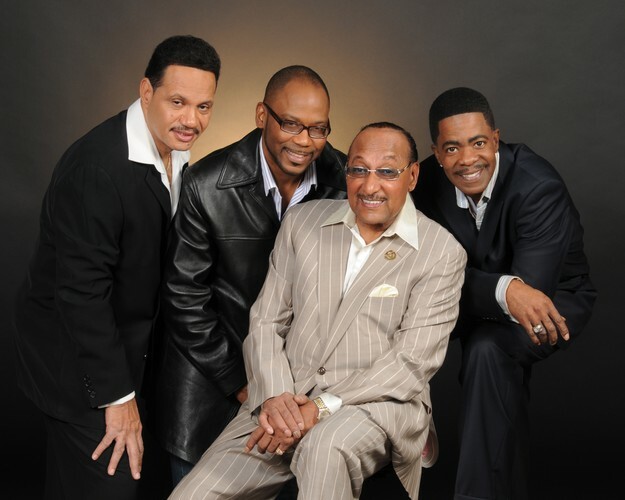 For more than sixty years, The Four Tops, a vocal quartet from Detroit, Michigan helped define the legendary Motown sound with a repertoire that included Soul Music, R&B, Adult Contemporary and Jazz. Their first Motown hit, “Baby I Need Your Loving” in 1964, made them stars and their sixties track record on the label is indispensable to any retrospective of that decade. Their songs, soulful and bittersweet, were across-the-board successes. “I Can’t Help Myself (Sugar Pie, Honey Bunch)”, a No.1 R&B and Pop smash in 1965, is one of Motown’s longest-running chart toppers, followed “It’s The Same Old Song”, “Reach Out I’ll Be There”, “Standing In The Shadows Of Love”, “Bernadette”, “It’s All In The Game”, “Still Water (Love)”, “You Keep Running Away”, and many more. The Four Tops are a one-in-a-million singing group.